A couple of weekends ago, the husband (yes, husband now!) 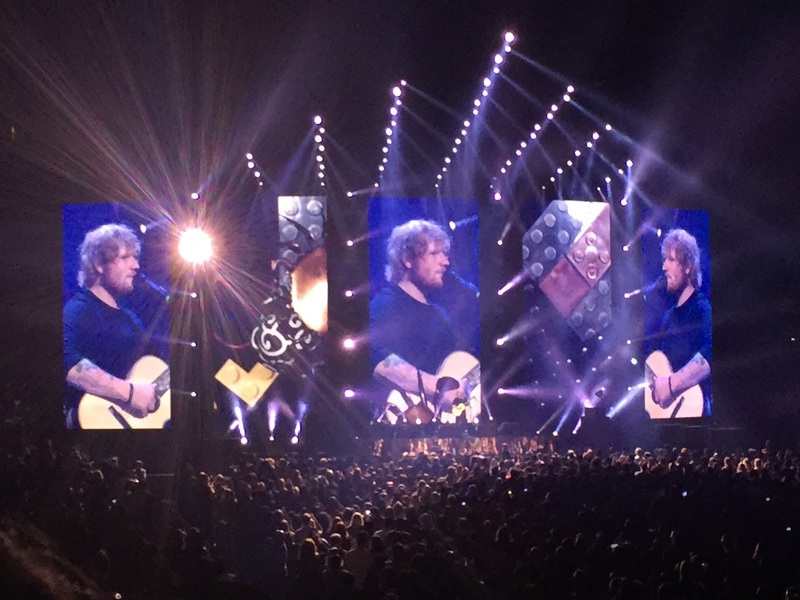 and I saw Ed Sheeran perform live in concert at the Air Canada Centre, thanks to Amex Canada! We may not have known the words to every single song, but there is one that makes us reminisce about a memorable moment in our life. 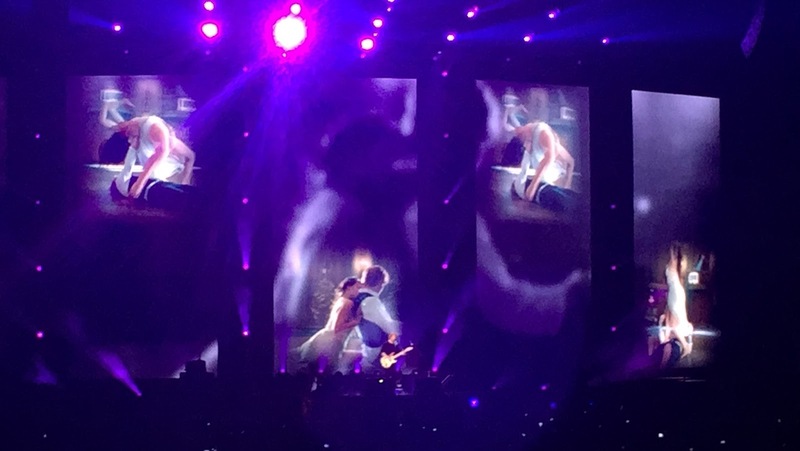 “Thinking Out Loud” will always have a special place in our hearts because it was our wedding song. Every time I hear it I think about dancing under the lights of a thousand stars! that moment because of Amex’s Front Of The Line benefit. Because of this, we had such great seats and a wonderful time. 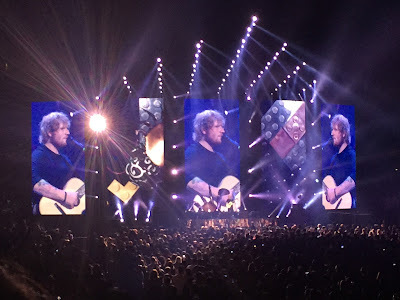 Now that I know Amex Cardmembers can get Front Of The Line access to presales and reserved ticket allotments we will be sure to have another memorable night out soon! Explore www.AmexInvites.ca to learn more about some of the hottest upcoming events. So I shop at Sephora more than I'd like to admit and those points just keep adding up over time. I usually say no when I'm asked to redeem but once in awhile there's something that I just can't pass up! 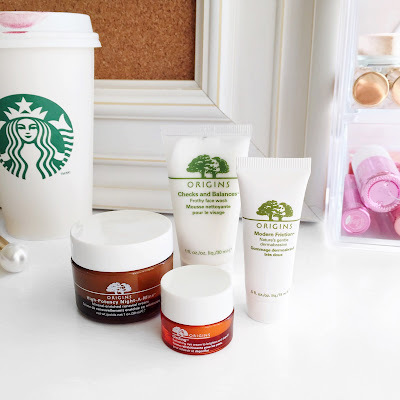 I've been meaning to try the Origins line after hearing great reviews from a few friends and went ahead to redeem the Radiance-Boosting Bests Set for 500 pts. The set has 4 of the brand's essentials for brightening - a balancing face wash, gentle exfoliator, energizing eye cream, and mineral-rich moisturizer. I found the Dermabrasion to be more on the coarse side but I do like the minty scent of the exfoliator and the face wash. The eye cream is very hydrating but the face cream is my favourite out of the set! Not only does it illuminate the skin, it also smell like orange creamsicles! I can't believe fall is just around the corner. This summer has been amazing and the most epic part (my wedding) is yet to come! What have I been up to? I spent most of the summer in Toronto doing a dream internship and am now back in Vancouver to prepare for the big day. While I'm sad that summer is coming to an end, there is a lot more to look forward to! Fall fashion always excites me and I've already started updating my wardrobe with a few transition pieces. I've decided that this is the year to try new things - from clothes and shoes to accessories and fragrances. On that note, my new Kate Spade New York Live Colourfully fragrance from Hudson's Bay and thebay.com - it's almost too pretty to use. The floral scent is light and playful just like the brand. Hope everyone is enjoying the last bit of summer! © Closet Full of Nothing 2010 | all rights reserved. Powered by Blogger.